And it was cheap–¥4.3 million. In fact, the realtor implied that we could probably get it down to an even ¥4 million if we paid cash. Apparently, the owner was desperate to unload it, and we wondered why it was so difficult to do so. Abiko is quite popular owing to the many train lines that run through it and the fact that Ueno is a little more than 30 minutes away by express. This was not in central Abiko, but it was close enough. Moreover, the clear prospect on three sides, including a park to the south, made it one of the few truly attractive lots we’d found in a conventional subdivision. The only reason we could see for its relative unpopularity was its size, slightly less than 100 square meters. Since the occupancy rate was 50 percent and the capacity rate 100, it still meant you could build a two-story house of up to 100 square meters, but because the shape of the land was slightly trapezoidal, the orientation of the house was limited. We emailed a copy of the plot diagram to a builder we wanted to use and he said it was possible to construct the kind of house we wanted on it, but it would just barely fit. We called the realtor and an agent met us at the site one sunny day. The view to the park, which was large and bordered on the south by trees not buildings, was even better in person. However, there was one odd condition attached to the land. Along the western border was a typical cinder block wall separating the property from its neighbor’s. The seller demanded that whoever bought the land respect the wall and its three support braces, which extended into the available land by about 30 centimeters. That meant there was 30cm less to work with, which normally wouldn’t have been a problem but since the land was small to begin with it might require some tricky designing. By dint of law and common sense we knew there had to be a minimum amount of space between the wall of the house and the edge of the property, and now there was less of it. Once a drawback presents itself, others fall into place. Though we don’t have a car and don’t plan to buy one, it would have been difficult to put a parking space on the land. And during a subsequent visit to the lot without the agent present we noticed that though the intersection afforded unblocked light to the north and east, the corner itself was busy. It didn’t look like a major thoroughfare, but it was apparently a short cut of some kind and cars were continuously going through at high speed, racing around the corner. It could prove to be loud since there wasn’t much space between the potential house and the middle of the intersection. We decided to pass. Though we never looked back, the Nakabyo plot made an impression that affected our subsequent search. In the beginning we never seriously considered something in a subdivision, but over the years had been worn down by the realization that there was really nothing else that was available and affordable for us. 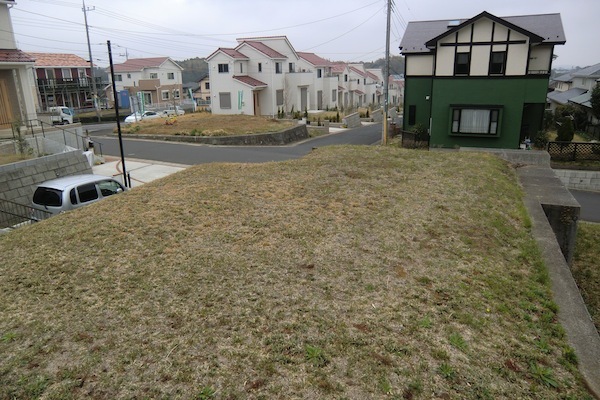 Nakabyo showed us that a suburban-style plot could be attractive, but the realities of suburban living, specifically the social ones, were always going to require compromises. The issue was: How much would we be willing to give up? Was it unreasonable to judge a neighbor we hadn’t even met? Our conclusion was that since whatever we bought was going to be our home for the rest of our lives we couldn’t take that chance. The experience had its positive and negative effects. On the positive side it made it easier for us to reject certain properties immediately and thus saved us time. On the negative side it made us realize anew that there wasn’t very much out there that we were going to be happy with unless we significantly increased our budget. Nevertheless, by the middle of spring we had our eye on two other properties that were still within our original price range. One was on the edge of a development in Sakae Town, also along the Narita Line but near Shimosa-Manzaki Station, which is only one stop before Narita. The plot was located on a rise that commanded an open view to the east of a huge rice field that extended several hundred meters to a line of trees. There was a house close to the south, but the public road was to the west and there was a vacant lot across it. To the north was a parking lot, but also, fifty meters away, the main prefectural road, which had a lot of traffic and produced a lot of noise. But the lot was a full 200 square meters and cost less than ¥4 million. Again, we weren’t sure why it was still vacant, but there were a lot of empty lots in the subdivision, which wasn’t new, so we assumed this particular area had reached its saturation point a long time ago. Maybe it’s because it was not really near anything. The station was a good 20-25 minute walk away, but it took you through Boso no Mura, one of the most beautiful parks in Chiba Prefecture. The nearest supermarket was twenty minutes away by bicycle, the nearest convenience store ten. It was attractive in a bucolic way, but we would definitely need a car. The other property was not far from where we live now. We could get there by bicycle in less than 20 minutes. It was also on the edge of a subdivision, but in this case at the top of steep rise, along the edge of a grove to the southwest. The hill descended down from the property to the north, with houses as far as you could see to the manmade pond at the bottom. The development, called Makinosato, was between Kobayashi Station on the Narita Line and Inzai Makinohara on the Hokuso Line, though it was closer to the former. The subdivision was quite popular and very large, but entire sections have remained empty for years. 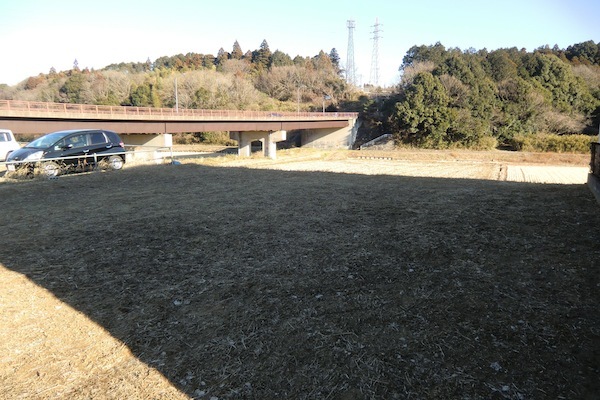 We had seen this piece of land many times in the past year-and-a-half and hadn’t really thought much about it until we saw an ad for this particular plot on a portal site with the price: ¥4.7 million for a little less than 200 square meters. There were two new houses to the west, but they were a good thirty meters away, separated by private driveways. To the east there was another, much smaller vacant lot, but it was set much lower than the plot we were interested in. In other words, it was a fairly open piece of land and, again, we wondered why it had remained unsold for so long. It had been developed back in the 1980s. 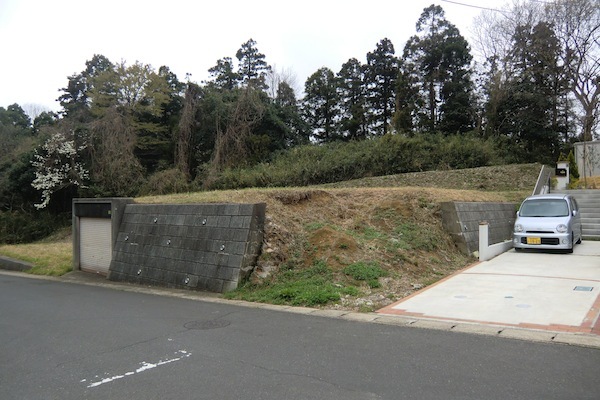 The problem here was that the plot was bordered on two sides by retaining walls (yoheki), which contained an underground garage. We had read about these kinds of plots, which are very common in Japan, and eventually wrote about it for our housing column in the Japan Times, so we won’t go into the details again here. Suffice to say that before we would make any decision we needed assurance that the land itself was stable. The retaining wall that nominally held the plot in place was obviously old and needed repair, but what other improvements or preparation would be necessary prior to building a house on it? The realtor gave us some indication of the cost of having the land checked but he was so delighted we were interested that he went ahead and leaked our interest to a local builder and before we had a chance to wonder about the residual costs of buying such a plot the builder sent us a floor plan for a house “specially” designed for it. We were impressed enough with the builder’s earnestness not to reject it out of hand, but it wasn’t the sort of house we wanted. The builder said he would prepare the land for construction and add only ¥1 million to the overall cost. We had no idea if this was a good price because the land hadn’t been inspected, but the real estate agent assured us the builder “knew this area” and thus could be trusted. 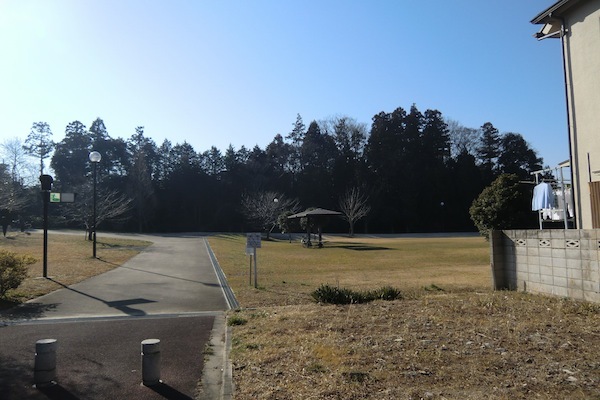 In fact, he went so far as to suggest that, given the added cost of the land preparation, he could probably talk the seller down to ¥4 million, an offer that both pleased and perplexed us. Obviously, if the land had remained vacant for this long there was something dodgy about it. After we asked for any documents related to how the land was originally prepared we were shocked when the realtor told us that the owner, meaning the original developer, didn’t have any such information. The realtor had even gone to the land department at city hall and discovered that they didn’t have any documents, either. We found this difficult to believe, but in any case it meant that we would have to hire a land inspector to look into the land. Of course, we couldn’t purchase it without first having some idea of how much money we would need to build a house on it, and suddenly the relatively low price for the land itself didn’t seem so low. We called the builder that we really wanted to use and told him about our situation. His company is headquartered in Ibaraki Prefecture, but he said he had an employee who lived in the vicinity and would have him drop by to look at the plot. A week or so later, as we were still negotiating with the realtor and fending off proposals from the local builder, we got a call from the Ibaraki builder. He said that his employee, just by looking at the land, could tell it would require a great deal of work and basically advised us not to buy it. So that was the end of that. Hi..tried to enter via wordpress but comment did not appear. Or maybe waiting approval. If so, apologies for double posting. Trying to envision how, if a street rises from south to the north, the houses on the north have more space. Probably I am not getting the picture. The slope of the hill runs south-north, not the streets, which run east-west. The southern sides of the houses get more sunlight, and those on the north side of a street face the street itself, which is five meters wide or so; whereas the southern exposures of houses on the south side of a street face their neighbors’ houses, which tend to be only a few meters away. Ok… I get it thanks… Sometimes my brain does not work….. I enjoyed your last few posts about land with a youheki. 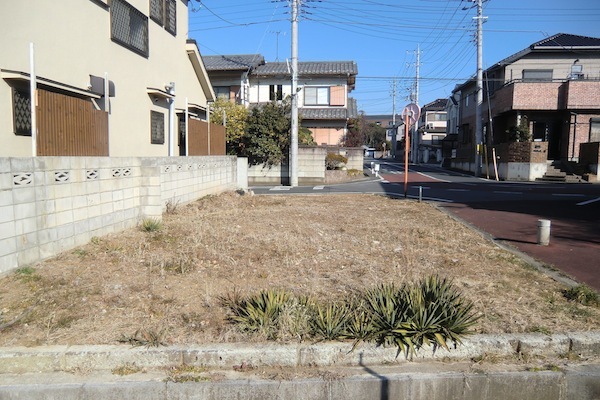 I’m in a similar situation, considering a property with a 60 year old oyaishi retaining wall. Some builders say it will be no problem, others advise me not to buy it. Very difficult to know who to believe. Enjoy all the posts, but still think the blog is most informative as an investigation into Japan and all its corners. There is never a ‘perfect’ property, rarely even a ‘good’ one. The compromises are huge, no matter what you do, and I continue to think you will, in the end, be renters. Having experienced all aspects of owning/renting/being a landlord etc., the only good reason in my opinion for owning a house is that you want to do it. And each blog entry is a new version of why you do not want to do it. have you considered homes made by Muji? they seem to have a well thought-out product. thanks for writing such an entertaining blog! Yes, we have, and we like their product. Considering the size they’re a bit out of our price range, though. In any case, there’s another builder we’re thinking of using who has a similar style philosophy but because they don’t advertise or do promotion their houses are cheaper. What’s the name of the builder you are thinking of using? Please, please, please, just stop being so picky and BUY something, and put us all out of your misery. (Much as I enjoy the blog). You won’t, I really think I can assure you, find greater or lesser happiness in your relationship if it depends on which bit of Chiba you ultimately live. I must disagree; please do not buy a house but let us enjoy many more new blog posts instead :). For me the only reason to buy a house in Tokyo area would be the fact that it gets harder and harder to rent when you get older and pretty much impossible after you have retired. Or at least that is what I have been told. As long as you are earning and maybe even have the company as guarantor things go pretty easy but after the monthly paychecks stop it might get difficult. Come and live in Mashiko in Tochigi Prefecture. Thank you your reporting is great.